Wilson might have a tough time retuning kicks this week, as the Falcons average touchbacks on almost over 51% of their kickoffs at home. The Falcons might need to kick every ball out of the end zone if they want to stop Wilson. The Giants did a great job last week in stopping Saints elite TE Jimmy Graham. Graham, who has had a balky back, was smothered to just 5 catches for 56 yards. This week, Williams will go against another elite tight end, but a much different version of one. Gonzalez is crafty and will find ways to get open in a way that Williams has never seen before. The future hall of famer has 81 catches for 831 yards and 7 touchdowns. Williams, along side some help from fellow LB Keith Rivers will be the key to stopping Falcons QB Matt Ryan from completing first downs to his safety blanket TE Tony Gonzalez. Manning will have a tough task in going against a much-improved Falcons defense. The Falcons give up less then 300 yards a game in the air, and rank fourth in pass defense. 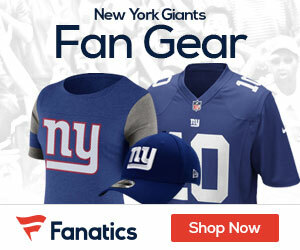 Manning, who threw four touchdown passes last week, could potentially be without a banged up WR Hakeem Nicks. Even if Nicks goes, the Giants will have a tough task against a solid Falcons secondary. Gabbers, what are your thoughts for this week’s matchup? I am very concerned about the pass defense with Princess hurt again. I think that Eli will have a very tough time if Nicks in not playing. Nicks is one of Eli’s top recievers and would make the game go a lot smoother with him. However, they do still have there running game to rely on which has been going great. David Wilson has been tearing it up on the field along with his kick returns. All in all, i think that it should be a close game but that the Giants will come out on top.